"All grown-ups were children once, but only few of them remember it." It is often difficult to explain to parents why a child may be experiencing Visual Perceptual or Visual Motor problems. Many times, the problem involves an Ocular Motor deficit. Vision Therapy is a very specialized field, and should be addressed by a professional. I will touch on some basic concepts that may help you know what to look for. 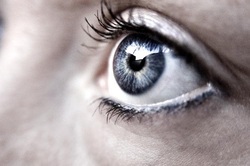 In general, "eyesight" refers to a person's acuity, which is how clear you can see. Medical issues with the eye itself, such as cataracts or glaucoma, will impact how clearly the eye can see. Likewise, retinal focus issues, including being near-sighted, far-sighted, or having an astigmatism will impact acuity. When a child appears to have a vision issue (which is often screened by the school nurse), they are usually referred to an optometrist. An optometrist is the typical “eye doctor”. These are the individuals found at your local vision centers, such as Pearle Vision® and Empire Vision®. An optometrist looks at the physical condition and health of your child’s eye. They also look for acuity problems such as near-sightedness, far-sightedness and astigmatisms. They may prescribe glasses or contacts to reduce the difficulties your child has with his/her “eyesight”. However, your child may have good eyesight, but they may not have efficient vision. 1.) Binocularity, or how the eyes work together, and how they give visual information to the brain. The developmental optometrist will measure the eyes’ ability to focus together to create single vision, and they check to make certain the eyes don’t slide out of alignment, such as with crossed or wandering eyes. 2.) Oculomotility, or tracking. Developmental optometrists will also check the ability to control where they aim their eyes (such as the skill required for reading) so we don't lose our place. They also make sure the eyes can follow a moving target smoothly and are able to make accurate eye jumps from one point to another. 3.) Accommodation or focusing. Developmental optometrists evaluate the ability to change focus rapidly and smoothly when looking from distance to near, and back again (such as from board to desk). In addition, developmental optometrists check to see if the child can maintain clear focus at near ranges for extended periods of time without blur or fatigue (such as required for reading small print). 4.) Vision Perception. Developmental optometrists also run tests to determine if the child has developed the perceptual skills he/she needs to understand and analyze what they see, checking skills such as visual memory, visual discrimination, visual closure, and visual figure-ground. 5.) Visual Motor Integration or eye-hand-body coordination. Developmental optometrists run tests to see if the visual systems are efficiently providing the brain with accurate information, so the brain can tell the muscles how to move in order to have good balance and coordination. These skills are especially important in the academic setting, for coloring, drawing, cutting, printing and copying. Most ocular motor issues require the intervention of a developmental optometrist. However, two areas that your OT may be able to assist you in are the areas of Visual Perceptual and Visual Motor Skill Development. Click the links below to read more.